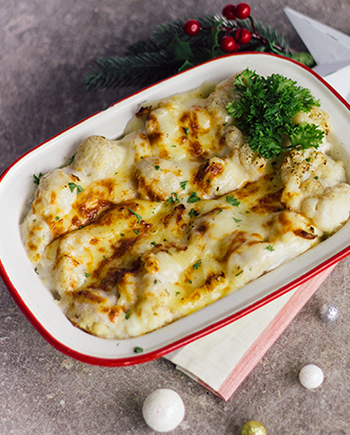 This year’s rendition of our online Christmas menu sees the glorious comeback of traditional holiday classics, including my Christmas must-have — Cauliflower Cheese Gratin! The cauliflower used to be a poorer cousin of the broccoli, seemingly lacking in vibrancy with its subtle white colour and mild flavour, but it looks like it has finally gained its rightful place as centre dish in recent years! 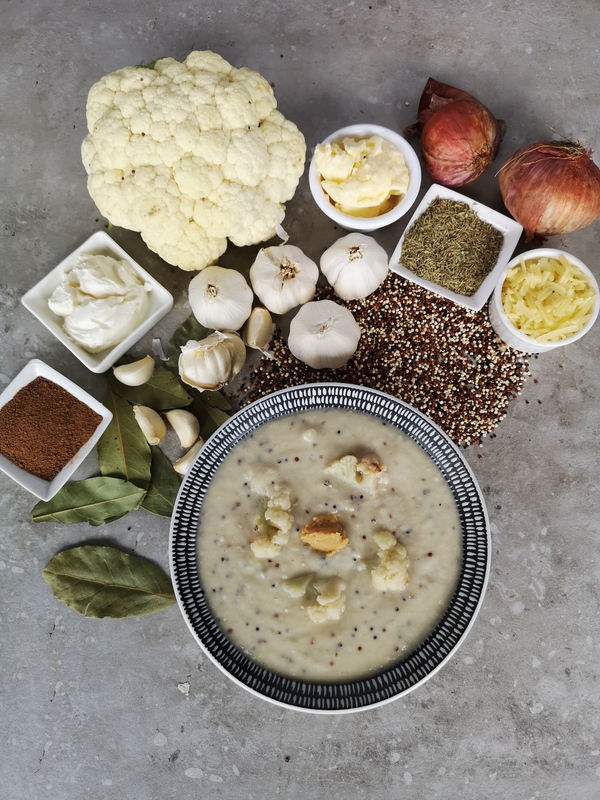 The versatility of the cauliflower, its low-carb and nutrient-dense properties have propelled the once-humble vegetable into the “IT thing” to eat these days! We have chosen to roast this beautiful gem to bring out its caramelised sweetness with a smoky profile and made it even heartier with the addition of superfood quinoa. 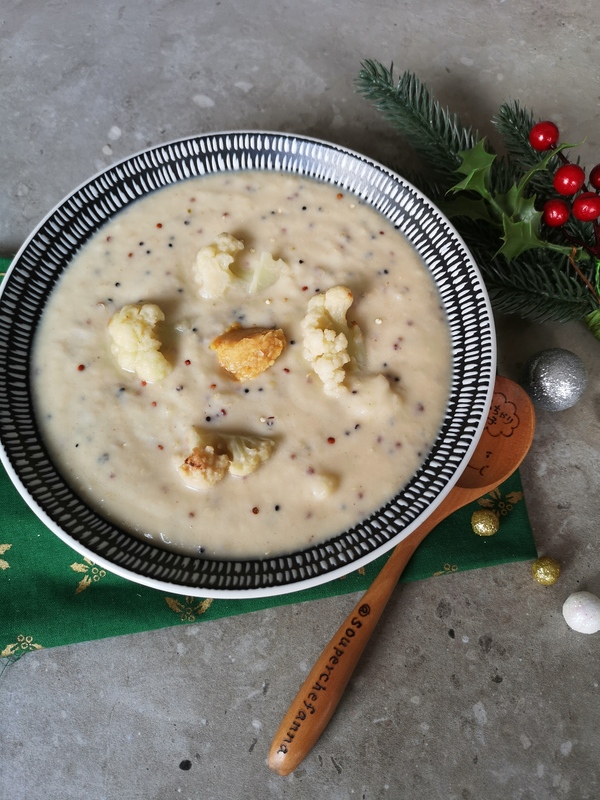 Inspired by our Cauliflower Cheese Gratin, this SouperChef boasts of creamy, cosy cheddar and cream cheese to make it a truly comforting soup to enjoy in the cool of December. Stay warm and toasty!